Our Casco Bay Cruises and Tours are your chance to see Maine in a very special way, from the water! We offer a variety of Cruises and Tours so that we can provide you with exactly what you want from your time on the water. Our 4 Hour Cruise includes: Lighthouses, Forts, extended island views, wildlife, Lobster trap pull and Portland waterfront water tour. Our 2 hour Sunset Cruise includes: Lighthouse, Forts and Portland waterfront water tour. Or, you can create your own tour (with our guidance) as to where you would like to go and what you’d like to accomplish . 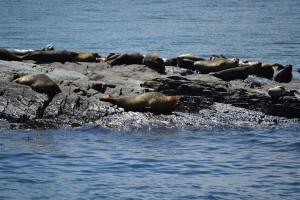 There is a lot to see in Casco Bay and it is a fantastic way to see a part of Maine that is off the beaten path. We also offer catered trips where the menu is wide open depending on your desires. So, if you would like to see Casco Bay the “Maine Way”, contact us now!